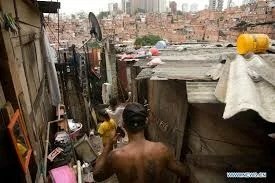 It took a trip to inner city San Paulo for me to see desperation up close. The Brazilian pastor with whom we were working planned to take us into the ghetto that day, favelas they call it. Mark’s narrative slows down in chapter 5 and becomes much more descriptive. His focus now isn’t on the sheer volume of miracles or demands of the crowds or arguments of the Pharisees. His camera narrows to three desperate people who have run out of options. They simply need to be rescued. Period. “The display of God’s power in this text involved two contrasting segments of society. On the one hand it focused on an outcast woman who had been suffering a disastrous hemorrhage for twelve years. The hemorrhage rendered her ceremonially unclean in Jewish society (Leviticus 15:25-27) which meant that she was a transmitter of uncleanness to all who came in contact with her. Let’s consider these three lives this week. They’re laid out side by side for our instruction. Compare and contrast. Draw parallels to your life and other lives around you. Then see Jesus. He is a Savior for all types, all needs, every desperate life. Yet he doesn’t offer a generic salvation. His rescue is customized, personal, suited to each one who cries. He knows each of us by name. What happened just prior to the events of Mark 5:1-20? Who did Jesus leave behind at this point? Who greeted him on his arrival? How does this fit with his purpose to seek and to save the lost? Day 2: Observation–Read Mark 5 as two scenes shot on location in separate places. Contrast the settings of the two scenes. Describe the desperate circumstances of the man in scene 1. What other characters are in the scene? What do various people in this scene beg Jesus to do? How does he respond to each? Describe the desperate circumstances of Jairus and the woman in scene 2. What other characters are in the scene? What did each person ask or want Jesus to do? How did Jesus respond to them? Day 3: Meaning–Read Mark 5 as three tales of deliverance. How does Jesus reveal himself to each one? What is he responding to? Faith? Or? What do his actions reveal about his authority in each case? What do his words instruct each of them in true faith? How does this Jesus relate to your needs today? How does this Jesus relate to needs you know about in others? Is there someone you can strengthen with the truth from this chapter? What a Savior we have! Enjoy seeing him better and showing him to others. Thank you for sharing your study of Mark. I really appreciate it! You’re very welcome Corinne. I’m so glad!